Waterproof technology at its finest, the Eclipse Pant obscures the old and ushers in the new with Marmot's cutting-edge proprietary rainwear technology, EVODry, which reduces environmental impact without compromising functionality. The first technology its kind, it utilizes Upcycled products, PFC-free fabric, lamination and trims, and eco-friendly water repellency treatment. What's more, EVODry delivers waterproof protection that doesn't need reapplication. 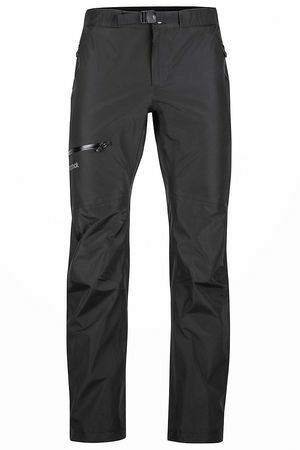 Additional boast-worthy features on this pant include 100 percent taped seams, articulated knees, and PFC-free ¾-length side zippers and hand pocket zippers.